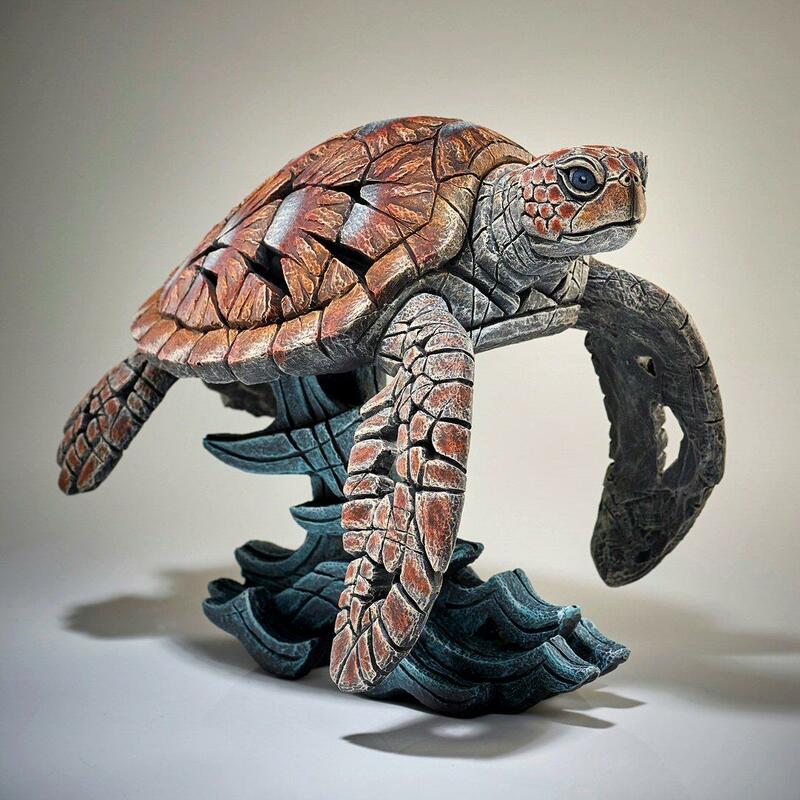 A delightful sea turtle sculpture by from the EDGE collection by Matt Buckley. These fascinating amphibians are one of the planet's oldest creatures, dating back to the time of the dinosaurs. They are highly adapted to life in the sea and spend most of their time there, only usually visiting dry land during nesting time. The sea turtle is prominent in the folklore of many cultures, particularly in the Pacific region. In popular culture the sea turtle shot to fame after appearing in Pixar's hit movie Finding Nemo. 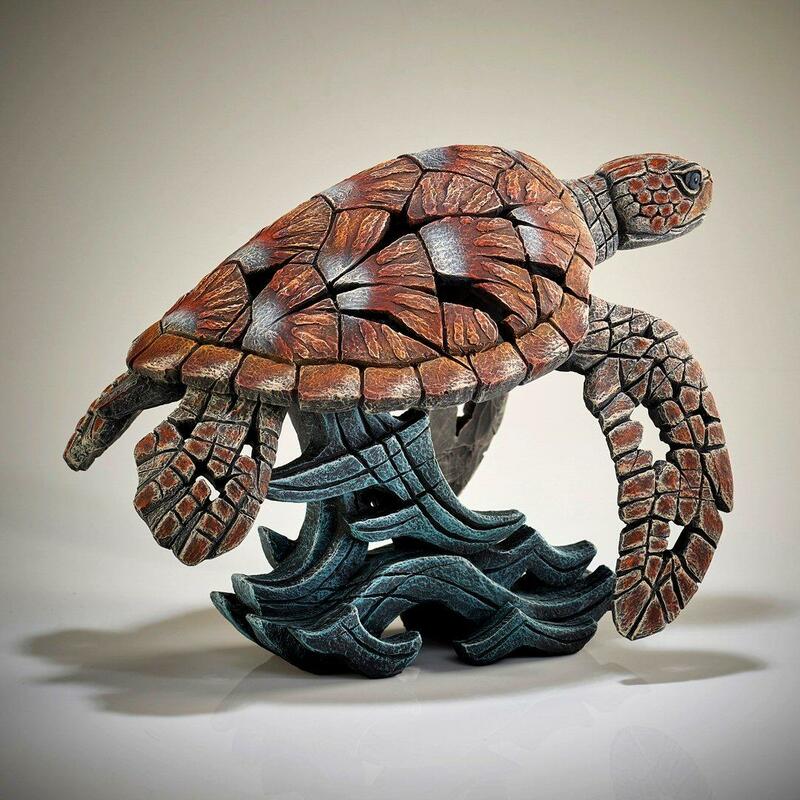 Matt Buckley's endearing sculpture shows this ancient mariner moving gracefully through the ocean. NEW RELEASE - Expected to be in stock mid April 2019 - order now to reserve.